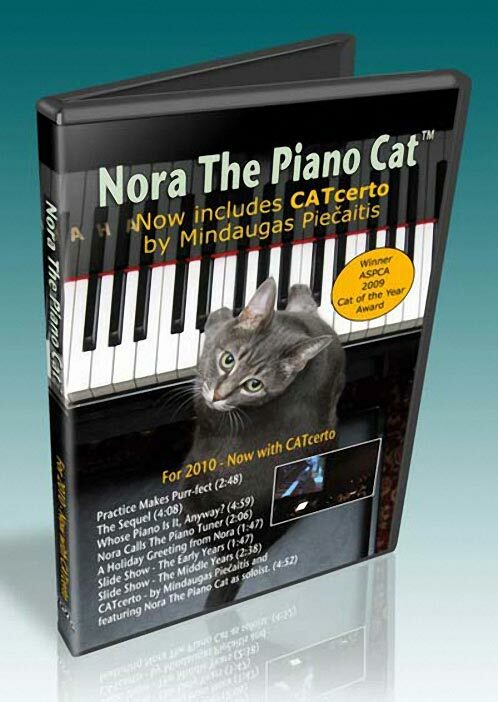 Features all seven Nora YouTube videos formatted for the big screen on one DVD, plus CATcerto by Mindaugas Piecaitis. All for just $12.95 + Shipping and handling. It is also available directly from the publisher at CreateSpace.com (an Amazon.com company). If you have a friend or family member who doesn’t have a computer or internet access, but you’d like to share Nora’s videos with them, this DVD will do the trick. It also makes a great gift for the cat lovers in your life.